A tiny little seed of an idea is all it takes to create something grand and glorious. 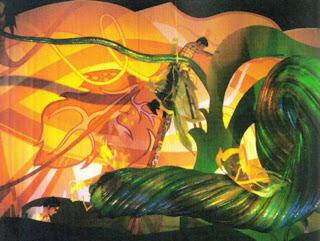 When it came to The Land Pavilion, that tiny little seed sprouted not only bountiful gardens full of innovative growing techniques, but an entire pavilion dedicated to the cultivation of the earth and its resources. 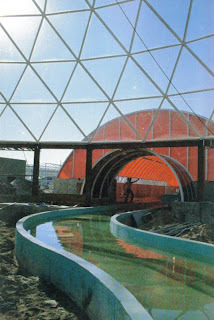 The Land pavilion is this week’s topic on the WDW Radio Show, where I was once again able to enjoy a few minutes, okay almost an hour, talking with Lou Mongello about the history and stories of Walt Disney World. As always, he was a gracious host, and we had a multitude of laughs along the way. 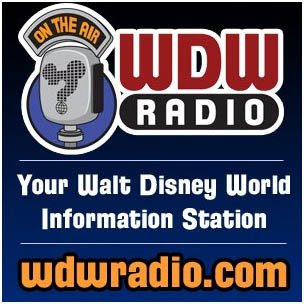 If you aren’t already listening to the WDW Radio Show, now is the perfect time to start! 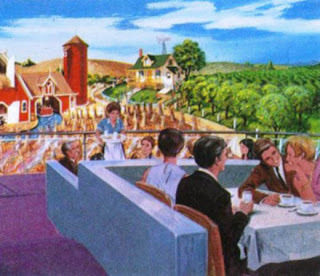 As a companion to this week’s show, I thought I would showcase a few pieces of concept art, along with some construction photographs, from the creation of The Land pavilion and its many attractions. 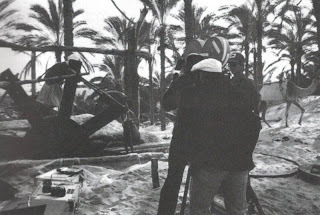 From construction of Listen to the Land and the Symphony of the Seed we progress through some concept art for the Good Turn Restaurant/Land Grille Room/Garden Grill and Kitchen Kabaret before ending our brief tour with a photograph of filming in Israel for the film Symbiosis. Ahh the memories. I still enjoy listening to "Listen to the Land" on my WDW Soundtrack, such a catchy tune. I hate that songs like that have disappeared. I used to also enjoy "One Little Spark" and "Tomorrow's Child"...those were part of the memories I had with my Father. 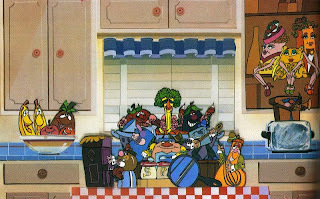 Perhaps a blog about the lost music is in my blogging future.